My mom bought me a miniature tea set as a little girl that I fell in love with. ‘Til this day it’s still one of my favorite keepsakes. I’ve been collecting 7″ figures for years, and with that I began doing toy photography for fun. That hobby slowly led me to the idea of creating miniature props and scale backgrounds/dioramas for more realistic photos. From that point on, I found that my love for miniatures was growing daily and this inspired me to take my ideas down a few scales. 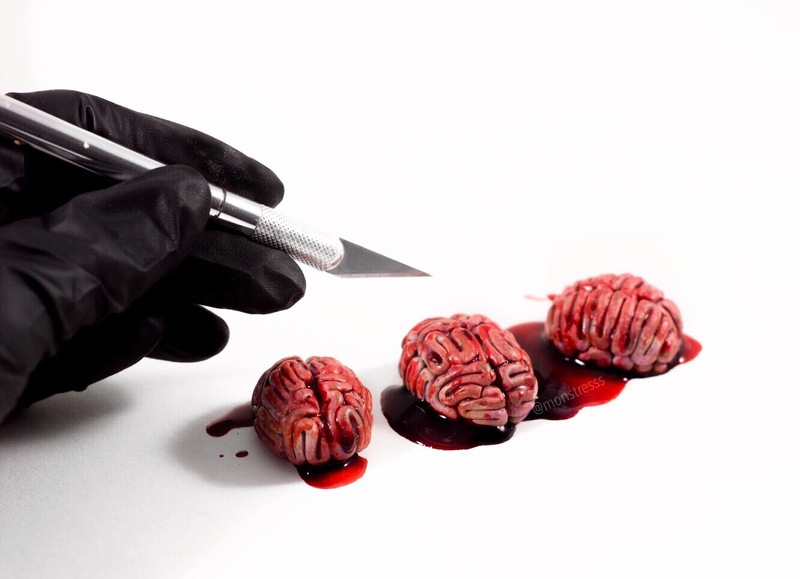 How about your interest with the horror genre? My love with horror definitely began around the age of 5, when I snuck into the living room while The Exorcist was on TV. My fascination overpowered the fear I felt at the time which slowly turned into an obsession: the thrill of being frightened. 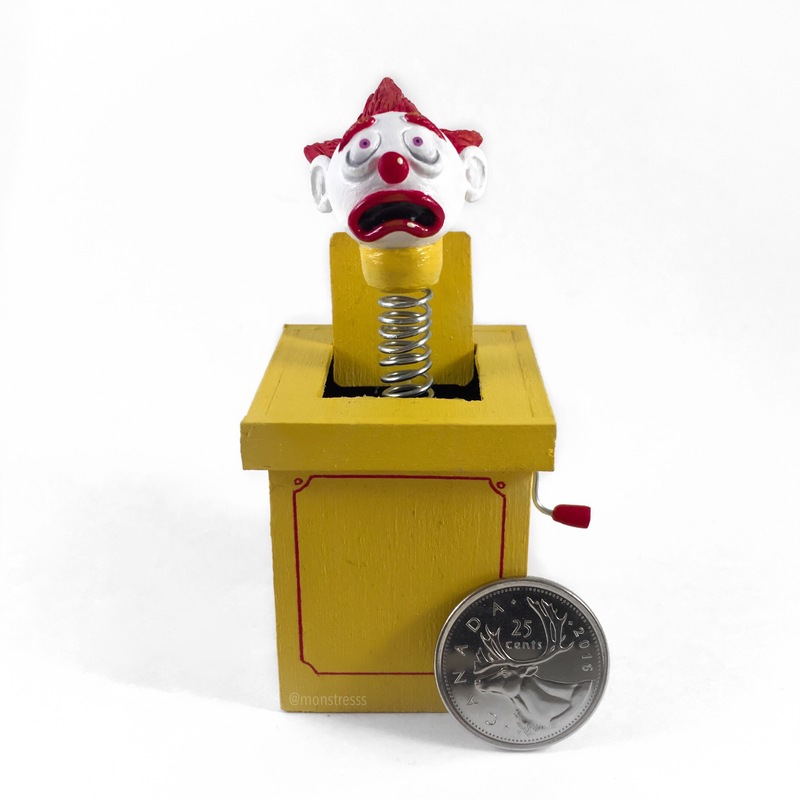 Do you remember the very first miniature you made? I was setting up for a photo to take with my Ghostface (scream) figure. I made him a “Serial Killing for Dummies” book. It’s still kicking around somewhere. What is your favorite type of miniature to make? Definitely my horror houses. 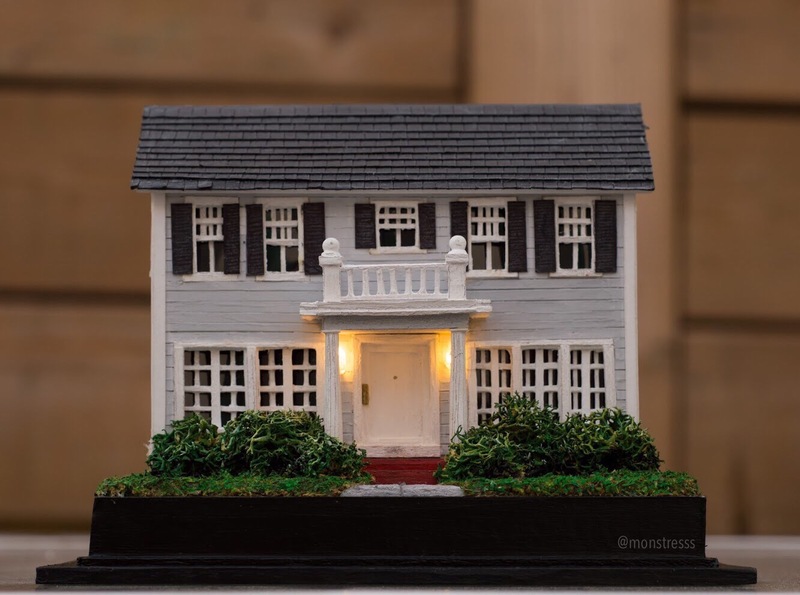 I love the idea of taking some of my favorite homes and bringing them to life in miniature form to display. They are also my most challenging pieces, which in the end gives me the most satisfaction when finally complete. 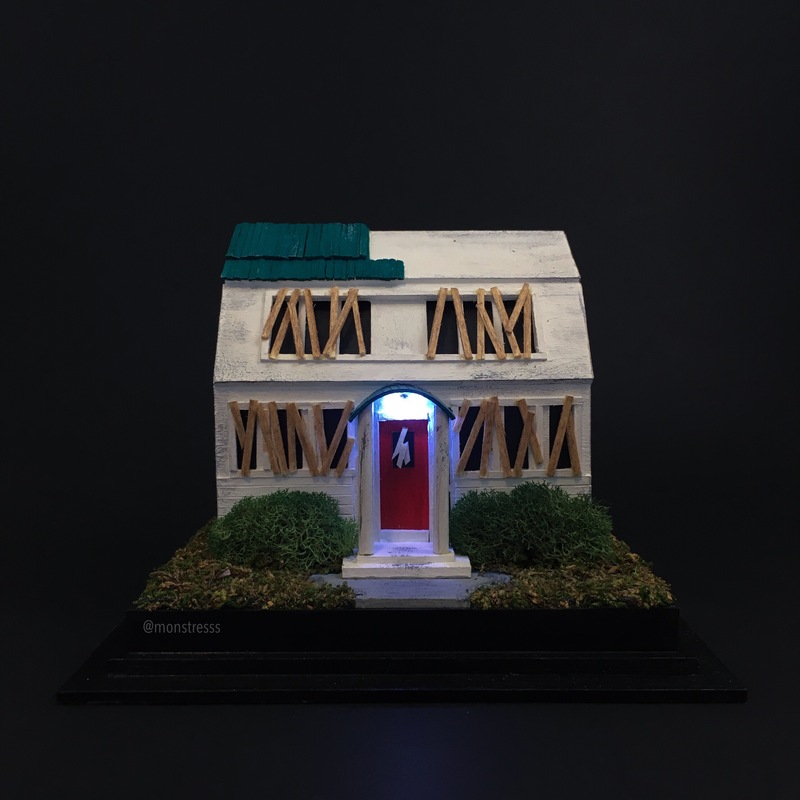 What advice would you give to new miniaturists? Pay attention to every little detail, something as small as a keyhole can make a huge difference. Also, never lose your will of wanting to learn. Every day I learn something new, new ways to improve my craft. It’s never-ending. 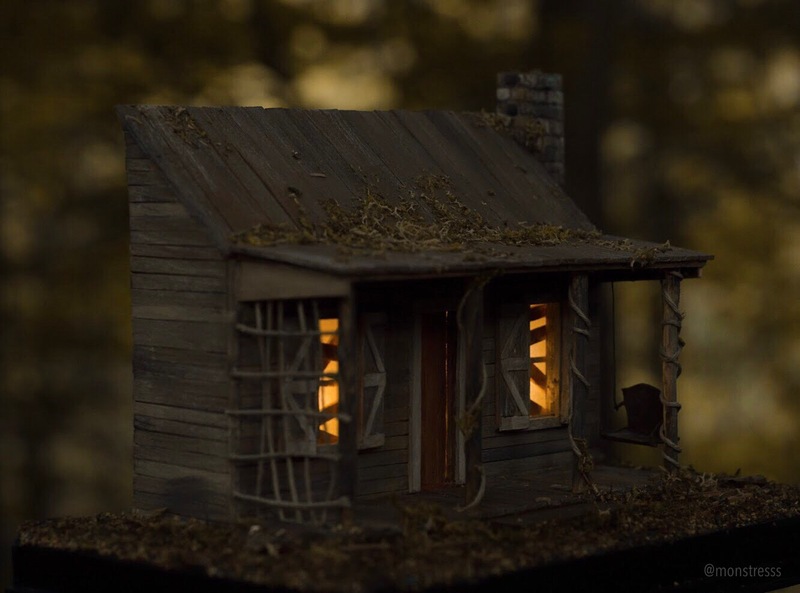 I recently made a replica of the Evil Dead Cabin with a functioning swing and lights. It’s easily become one of my favorites. Although there are many possible answers here, narrowing it down to just one: The Exorcist, without a doubt. Favorite quote from a scary movie? Favorite fictional character or monster from horror movies, comic books, TV shows, etc.? 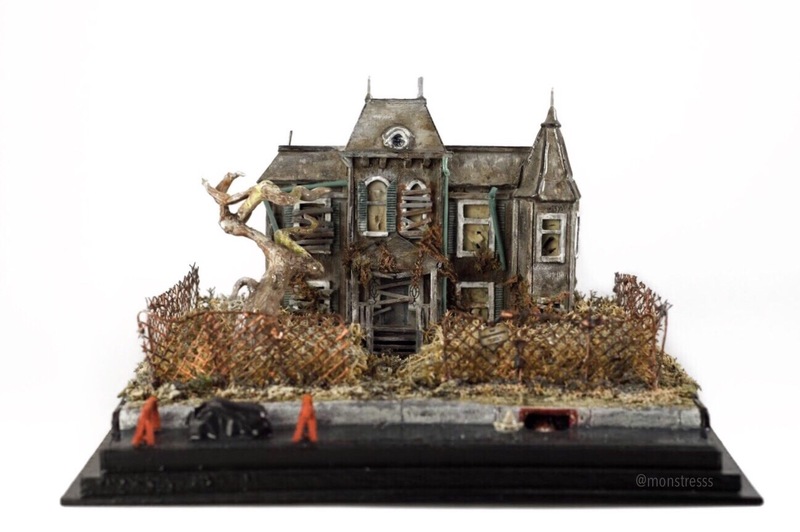 Most memorable miniature you’ve ever seen? Adam Dougherty makes mini “tooth fairies” and they are as weird as much as they are cute! As the saying goes, “The devil is in the details” but more so, is the satisfaction… being able to look at a completed piece after hours of eye strain and cramping fingers, and seeing how it’s come together just as I envisioned it. That feeling of satisfaction became an addiction, and drives me through the challenges of the various projects I choose. Because they’re just too damn cute! What’s to come from Susete Saraiva? 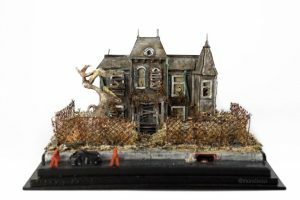 You’ll definitely be seeing more “horror houses” in the months to follow. As well as some original pieces that will, of course, be creepy in nature. Other than watching horror movies, TV shows, and the occasional Disney flick, I love going for walks by the ravine with my dogs. Being surrounded by nature refreshes my state of mind. Would you like to share a dailymini exclusive with readers? 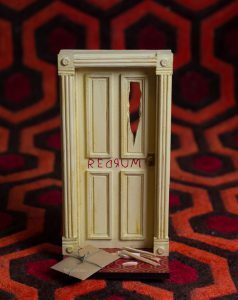 I think one thing most people don’t know is that as much as I love the horror, I’m also a huge fan of Disney and whimsical things. Susete Saraiva is based in Toronto, Canada. 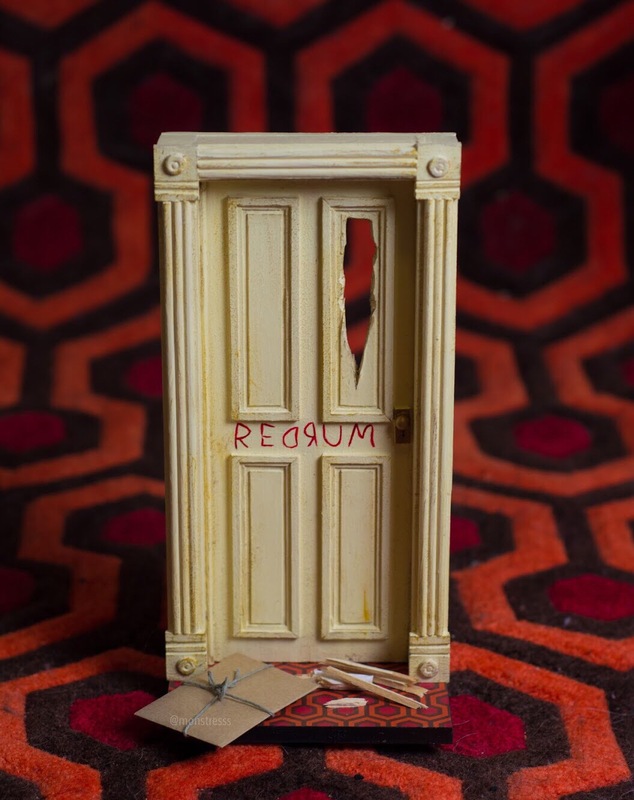 To shop her latest in miniature macabre, have a look on Etsy and make sure to follow along on Instagram and Facebook.